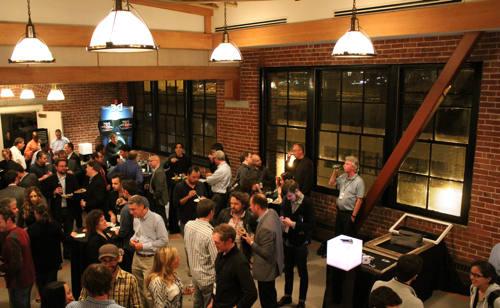 On Tuesday, November 1, High-Def Digest was fortunate enough to attend The Art of Entertainment at Dolby Laboratories in San Francisco, California. Because the government's always up in my bid'ness, federal law mandates I tell you that Dolby footed the bill for my travels and lodgings, and hosted one heck of a cocktail party and dessert hour. Basically, I need to tell you right now that I will write anything these people tell me to say. I love free stuff as much as the next guy, but getting to talk to the wizards at Dolby and screening films in their laboratory-cinema is a privilege for which I'd actually pay (just don't tell them). So, what was The Art of Entertainment? Like last year's Fidelity Forum, there were Dolby demos on mobile phones and laptop computers. There was even a Dolby PRM-4200 Professional Reference Monitor on display. This monitor, by the way, was used to color correct 'Apocalypse Now' last year; it purports to be the most accurate monitor available because it can approximate the full gamut of film while being able to emulate the capabilities of LCD, Plasma, and CRT displays. I'm sure its price tag tens of thousands of dollars will prevent most of us from having one in our homes, but it's nice to know the pros will be able to make sure we're not too far behind perfect. 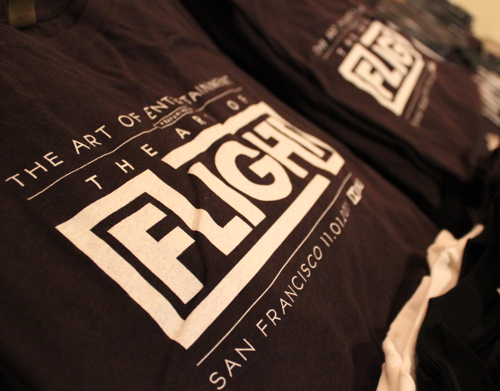 Fun toys aside, the real reason we were all up in San Francisco was to screen 'The Art of Flight', a new snowboarding adventure documentary directed by Curt Morgan. Boarders Travis Rice, John Jackson, Mark Landvik, Scotty Lago, Jake Blauvelt, Nicolas Muller, Gigi Ruf, DCP and Pat Moore travel to Alaska, Wyoming, Colorado, British Columbia, Chile, and Patigonia in search of an endless winter… and snow conditions of a non-lethal variety. Click on the film's title to read the full review, but this enthralling movie brims with exotic landscapes, death-defying stunts, crushing avalanches, beautifully photographed slow motion, and a reference quality 7.1 Dolby TrueHD surround track that was mixed in the hallowed halls of Skywalker Sound. Imagine 'Planet Earth' meets 'The X Games' with all the slow motion from 'Braveheart' or the opening scene from 'The Hurt Locker'. 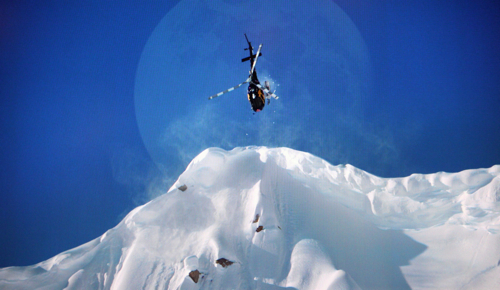 Filmmaker Curt Morgan was on hand, along with many others who contributed to the film, to discuss how Curt isn't sure if he made a snowboarding film with some helicopters, or a helicopter film with a bit of snowboarding. Seriously, hats off to the pilots who may be just as crazy as the extreme snowboarders. It's flat out incredible how they plow a chopper's nose into the side of a mountain ledge -- routers inches from ice, rock and snow -- to let out or rescue passengers. 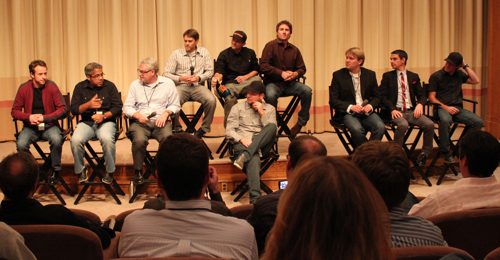 The Art of Flight Panel from Dolby Laboratories on Vimeo. Oh, and the government told me I have to thank you for the free t-shirt.